Thompson’s Cider Mill and Orchard apple varieties ripen at different times from September through October. The first varieties to be picked include McIntosh, Macoun, Gala, Greenings, Cortland, Jonathan and Honey Crisp. As the weeks move on, more varieties are added to the list such as Crispin/Mutsu, Ida Red and several brown-skinned Russets in md-month and culminating in the arrival of Winesaps, Nothern Spys and Newtown Pippins at the end of the month. In general, the later an apple ripens, the longer it keeps. The late ripening varieties like Winesap will keep all winter in the refrigerator without losing much of their crispness. 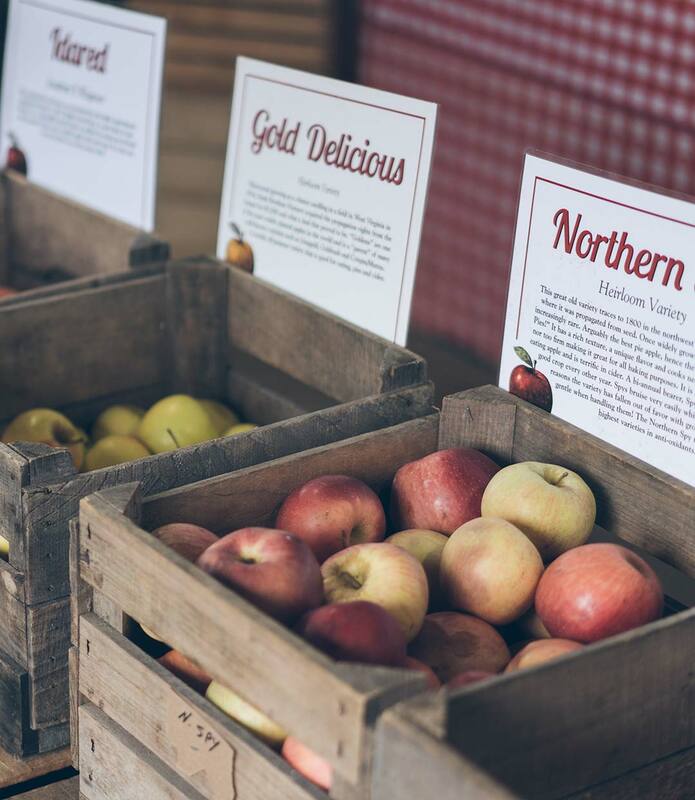 Among the varieties of apples found at Thompson’s Cider Mill are: Macoun, McIntosh, Rhode Island Greening, Northwest Greening, Jonagold, Winter Banana, Golden Russet, Ida Red, Winesap, Jonathan, Mutsu, Monroe, Baldwin, Fuji, Cortland, Spygold, Red Spy, Northern Spy, Pippin, Seek-No-Further, local Golden and Red Delicious, along with more than six varieties of pears. Many heirloom or antique varieties offered are in very limited supply and tasting them is a special treat. Not all varieties are available at all times due to varying ripening schedules. Check our Facebook page during the Fall for weekly updates.